One of the critical challenges for the next century is the need to stabilise, and ultimately to reduce the number of human beings on this planet. We are already by far the most abundant large animal on Earth, and our sheer numbers, combined with our extremely wasteful use of resources, is putting increasing strain on the natural systems on which we all depend. If human numbers continue to rise at the same rates as in previous decades it will not be long before we literally eat ourselves off the planet, like a swarm of locusts presiding over our own destruction. Predicting just how many people will eventually end up inhabiting the planet is extremely complex, and involves analyzing often-unreliable data from countries across the world. The most comprehensive source for worldwide demographic trends is the World Population Prospects report, published every two years by the United Nations Department of Social and Economic Affairs. This provides an extremely detailed breakdown of population and fertility rates for every country throughout the world, and produces estimates of future population trends under low, medium, and high-fertility scenarios. Population trends vary considerably around the world, with the greatest differences occurring between developed and developing countries. This discrepancy can be explained by the demographic transition, which all countries pass through as they develop. Stage one has high birth and death rates. This is the stage that most countries around the world were at prior to the industrial revolution, when birth and death rates largely balanced one another out. In stage two, factors such as improvements in living standards and basic hygiene, along with improved health care, cause death rates to drop dramatically. However birth rates tend to lag, and during this stage, remain at close to historical levels. This is the stage that many developing countries are currently at, particularly in Sub-Saharan Africa. When countries reach stage two of the demographic transition, populations tend to grow extremely rapidly, due mainly to the sharp drop in infant mortality. Stage three of the demographic transition occurs as countries become increasingly developed. As this happens death rates continue to fall, but birth rates fall more rapidly. A number of countries in central and South America are currently at this stage of development, with Mexico providing a good example. Stage four of the demographic transition sees a return to stability, with low birth rates and low death rates. This stability arises from a number of factors, such as high levels of education in both the male and female populations, the availability of contraceptive options, and the probability that children will survive into adulthood. The effect of the demographic transition can be clearly seen if we compare the population structures for developed and developing countries. The left-hand figure below shows the population structure of Germany in 2010. It can be seen there is a bulge in the 40 – 60 year old male and female populations. This corresponds to the post war “baby boom”. However since this time the number of births has declined in each successive decade. By way of contrast, the right-hand figure shows the population pyramid for Malawi for 2010. Here we see a pattern characteristic of developing countries, with the population growing exponentially. This is consistent with birth rates which, in each generation, significantly exceed the population replacement rate of 2.1 children per woman. Based on its analysis of population trends across the world, the UN has estimated what the future world populations are likely to be over the coming decades. The low-growth scenario, shown in green below, would see populations peaking at just over eight billion by the middle of this century. The medium-growth scenario, shown in orange, is considered to be the most likely. This would see human numbers rising to just over ten billion by the end of this century then leveling off. The high-growth scenario, which is shown in red, assumes that birth and death rates do not change significantly from present-day levels, and predicts that there could be as many as sixteen billion people on Earth by the end of the century. Given the tremendous pressures that the seven billion human beings on Earth are currently placing on the planet, it is imperative that populations level off as soon as possible. The high-end forecast of the UN will simply not happen. Famine, disease, resource wars, and breakdown of social order will see to that. The high-end scenario is a recipe for anarchy and chaos, and would likely serve as a catalyst for a vast and catastrophic reduction in human numbers. The low-end scenario is the ideal, and would allow for a significant long-term reduction in human population in a managed and controlled way. However the UN considers the medium-growth scenario to be the most likely. Under this scenario, the predicted maximum human population of ten billion would place tremendous strain on the Earth’s resources. However it is conceivable that if resources are well managed, the Earth could temporarily support a world population at this level, as long as the number of people started declining significantly in the following century. While the four stages of demographic transition are well known, many demographers believe that some countries are entering a fifth stage of demographic transition. This is illustrated by looking at the predicted population distribution for Germany in 2100, which is shown below. By that time it is expected that age-related population variations will have been smoothed out, and the distribution of the age groups will be almost even, except for a small but steady decline in the number of births in each successive decade. This steady reduction in population is the kind of pattern which needs to be repeated worldwide if human numbers are to stabilise at levels which the Earth can support over the long term. Unfortunately, governments often see declining birth rates as a threat, and countries such as Japan and Russia are trying everything possible to reverse this trend. The logic is that the smaller pool of people who are economically active cannot afford to support an aging population. If direct government intervention succeeds in raising birth rates, then the pattern will repeat, with still higher birth rates in the future being necessary to support each new generation as they age; a kind of population Ponzi scheme. Short-sighted policies of this nature can be directly related to the fact that many governments directly equate economic growth with population growth. It is also a classic example of short-term financial considerations taking precedence over long-term societal and environmental imperatives. Entering the final stage of the demographic transition is necessary in order for countries to achieve stable long-term populations, and practical ways need to be found to support aging populations without increasing the overall population. Many developed countries are turning increasingly to immigration to try to counter declining birth rates. However this also results in a net increase in population, and once again simply postpones the age-related health-care time bomb to the next generation. 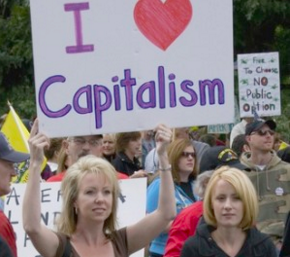 The developing world is faced with the opposite problem. Anyone who has ever visited Sub-Saharan Africa will be familiar with the experience of seeing children everywhere. Fertility rates are much higher than for developed countries, and typically exceed the population replacement rate by a significant margin. Most developing countries are already poor, and are ill prepared to cope with the consequences of rapidly-rising populations. Many recent conflicts in Africa, such as the Rwandan genocide and the conflict in Darfur, have been fueled in part by competition for limited resources. As population pressures increase, these types of internal disputes are likely to occur more frequently, impacting stability across many parts of the developing world. Fortunately there is hope that birth rates in the developing world will drop over time. The predicted population pyramid for Malawi in 2100 is shown below. 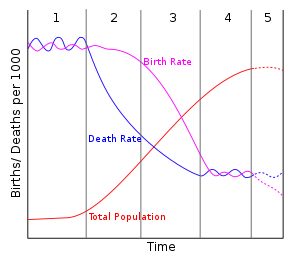 It can be seen that births are expected to have peaked by this time, and the birth rates are predicted to have stabilised. Once this stage is reached, the population will continue to rise for a number of years, simply because of the number of young people relative to the death rate in the older population. However this type of population pyramid is a sign of a transition to a stable population, and if currently-developing countries can make this transition a reality, then there is hope that the overall human population will start to decline to numbers which are manageable over the longer term. There will of course be many challenges in the coming years. For example, the inexplicable stance of the Catholic Church when it comes to birth control could impede efforts to reduce the birth rate in a number of countries. Access to contraception is also limited in many parts of the world, and the role of donor countries and aid organisations in promoting increased use of birth control is likely to have a significant long-term impact on the future population in many developing countries. The long-term outlook suggests that human numbers will peak, and start to decline at the end of the current century. In a balanced world, where resources were shared equally, we could most possibly hope to get through this transition with little disruption. However we do not live in a balanced world. Already-impoverished developing countries will be those most negatively affected by the practical realities of the demographic transition. There is little doubt that many countries will be in for a rough journey over the coming century. It is in all of our interests that populations are stabilised worldwide. To this end, it is only right that wealthy countries should contribute significantly to family planning programs in developing countries, and ensure that there is sufficient funding to allow all children to receive at least a basic education. At this stage the challenges which lie ahead may seem daunting, but if we can get through the population crisis in reasonable shape then our long-term future may be assured.